Just where will artificial intelligence fit in with CAD software? Here’s a look at where developments stand now, and a preview of what might be coming. Artificial intelligence has a place in the future of computer-aided design technology, but right now, the role AI will play isn’t clear. That’s the view of Jon Hirschtick, chief executive officer of Onshape, which makes cloud-based CAD software. 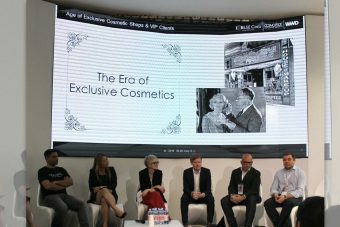 While some CAD makers are delving into AI functionality, the marriage of AI and design software is in the early stages, he says. CAD makers would be wise to consider how AI may fit into their software’s growth and expansion. AI should be a $16 billion industry by 2022, according to a projection from research firm Markets and Markets. First, definitions are in order. 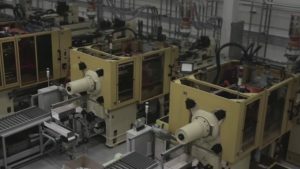 Many terms have been bandied about of late, particularly in reference to Industry 4.0, which goes by a number of names, including smart factory and connected factory. Technologies like artificial intelligence, machine learning, big data, Internet of things (IOT), and deep learning will come together to help realize Industry 4.0. 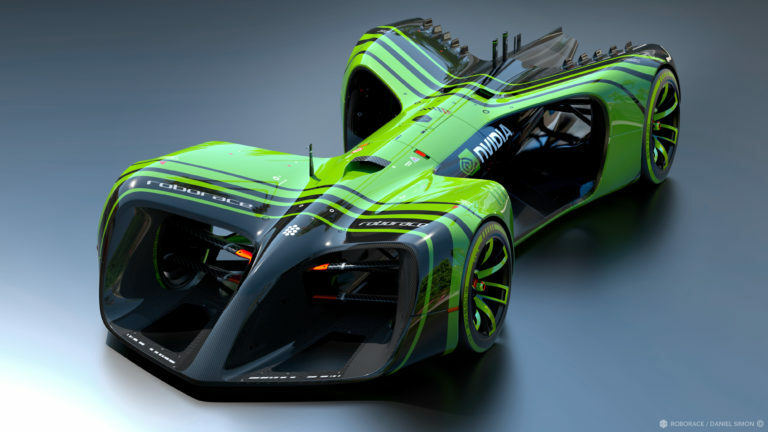 Nvidia installed its Drive PX 2 AI supercomputing platform into a signature- green, self-driving racecar that will compete in the Roborace Champsionship, a global autonomous motorsports competition. Image credit Nvidia. Machine learning is what Ramsey calls an approach to AI, meaning a way to use AI for practical applications. The approach uses statistical techniques to construct a model from observed data. It relies on inputs, or what Ramsey calls “extractors” set by the humans programming these machines. “It’s like the bag-of-word analysis that made spam filters possible,” Ramsey says. The filters could search for certain words (determined by humans) within messages, then flag those messages as unwanted spam. Machine learning algorithms can sift through and find insights in large data sets. Combine AI and machine learning and the algorithms become more able to recognize patterns and specific issues, such as—when it comes to something like speech recognition software—accents. But where does the data used by machine-learning algorithms come from? Earlier this year, Nvidia revealed a self-driving car powered by its new AI supercomputer, Xavier, which learns to drive by observing a human driver. Nvidia installed the AI in an autonomous Lincoln vehicle to demonstrate its capabilities. Nvidia Drive PX is an open, artificial intelligence-driven, computing system that can be used as the technology platform for automated and autonomous vehicles. Nvidia developed its own self-driving vehicle to showcase the system. 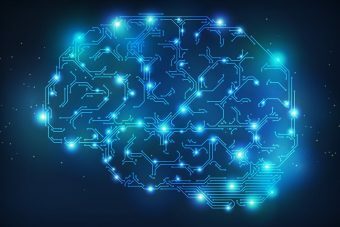 “Using deep learning, the fastest growing segment of AI, computers are now able to learn and recognize patterns from data that were considered too complex for expert written software,” Ramsey says. Hirschtick believes CAD programs will make use of AI, but in a more limited way in the near future, by using information the designer has entered to offer suggestions about design parameters and inputs. Future programs might offer to the design default values for a shape based on the objects that person has designed in the past. 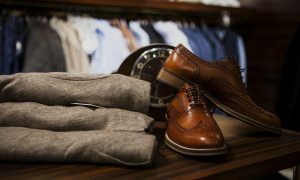 AI would essentially learn what types of products the designer mostly works on and the inputs he or she has regularly used for those products. The suggested values may appear on the user’s screen in a dialog box, Hirschtick says. And AI could make engineers’ search for needed and necessary parts easier. Hirschtick envisions a program, much like that which appears for Amazon shoppers, in which engineers could type in information about a part they’re searching for “and the program says ‘a lot of times people looking for that part also look at this one,’” he says. In the future, CAD software users may also ask speech technology software, rather than the CAD-company’s tech-support operators, questions about the software and instantly receive a pertinent, helpful response. The natural-language-processing programs that drive these responses learn how best to answer user questions thanks to machine learning technology. Such speech technology software could aid fast-growing CAD companies that would otherwise need to train a slew of customer-support employees quickly. Other CAD vendors may beg to disagree. To offer Otto initial “training,” as it were, the Autodesk team fed historical data from chat logs, use cases, and forum posts into the program to ensure it could understand and respond to a wide range of customer queries. Then, as the project expands, Otto will use machine learning to handle increasingly complex customer requests and will scale up as call-volume grows. Also, last October, Autodesk announced plans to embed an AI modeling engine into its IoT cloud platform, Fusion Connect. The Eureqa engine is from Nutonian, recently acquired by DataRobot. The pairing is natural, as IoT offers continual feedback on how products are performing in the field, in real time. IoT makes use of sensors and actuators attached to a product that send back continuous information on how the product is operating, moment-by-moment, in the field. Fusion Connect helps gather information from that network of sensors and actuators as well as upon RFID, Wi-Fi, and a range of other communications and monitoring technologies, Kester says. The information is then analyzed and output in a format useful to engineers, who can use it to find where improvements can be made to existing product designs and to determine how new products could be designed better designed. All this based on present, real-world operation, he adds. Similarly, PTC plans this year to link its Creo computer-aided design system, to the company’s ThingWorx IoT development platform. Developers use the platform to build and deploy enterprise-level IoT applications, says Paul Sagar, vice president of product management at PTC. Though it’s not an AI application, after the ThingWorx and Creo interface is complete, engineers will be able to instrument their CAD model with virtual sensors that act in the same manner as the real-world counterparts do; that is, they monitor and report back about particular features of part or system operation. These virtual sensors can offer more insight into model behavior than the what-if questioning and virtual experimentation engineers now use to explore model performance, Sagar says. The sensors can help answer questions like: is the virtual system running hot in a certain area? Is airflow too high or too low? With those questions answered, designers can redesign and repeat the process until they’ve optimized the model to meet—perhaps even exceed–specifications, Sagar continues. Introduced last summer, Autodesk’s Design Graph is another machine learning system that helps users manage 3D content, offering Google search-like functionality for 3D models, says Mike Haley, who leads the machine intelligence group at Autodesk. “Machine learning and artificial intelligence are starting to make the first inroads into daily life, but to our knowledge this is its very first application for industrial design and mechanical engineering,” Haley says. Design Graph algorithms extract large amounts of 3D design data from an engineering company’s designs. It then creates a catalog by categorizing each component and design using a classification and relationship system. Designers and engineers search across all of their files for a part type, such as a bolt or a bike seat, with the tool returning dozens or hundreds of pertinent options. So how does machine learning come into play? The system teaches computers to identify and understand designs based on their inherent characteristics–their shape and structure–rather than by tags or metadata, Haley says. After all, whoever designed the part originally could label it any of dozens of ways, using full words or abbreviations. Metadata created by people, unless carefully managed, tends to be unreliable, Haley says. With Design Graph, the computer uses its own observations about the 3D geometry contained in every 3D model. So while some AI capabilities already exist within CAD systems, look for more to come. After all, product design plays a key role in the connected factory and the IoT systems of the future. Without design, there’d be no need for a factory—no matter how connected–to make the products and nothing for IoT to monitor. 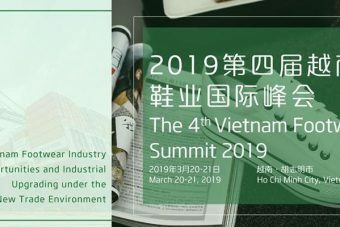 Save the Date: 4-th Vietnam Footwear Summit, Ho Chi Minh- 20,21 March 2019!